Google Analytics is the number one analytics tool that the top marketers use to get all their insights. It’s what helps them to make proper, data-driven decisions when they’re creating their sales funnels and campaigns, and ultimately, what guides them into generating revenue and profit from replicable systems. Unfortunately, most marketers barely ever get started with Analytics. You create your account, click through a few screens… and that’s it. You never get anything useful out of it, because you never got it set up. You never really learn how to use Google Analytics. And that’s not your fault! Google makes amazing products, but they generally don’t create the best user manuals to go with them. There’s no “Google Analytics Tutorial” or training guide for marketers… they really leave it up to you to figure out exactly what you need to be doing. If you don’t know what you’re looking at, this can feel like talking to a fortune teller who speaks only in riddles. Intriguing, but you can’t do much with it. And since Google doesn’t inform you that Analytics requires some training, you don’t realize you need help until you come up with questions you can’t answer. In this post, you’re going to learn the 4 key questions you MUST be able to answer about your website visitors, and how to get that information from Google Analytics. We’ll break it down into manageable pieces so you can work through it at your own pace and start collecting that powerful marketing data! Want to Test Your Analytics Knowledge? 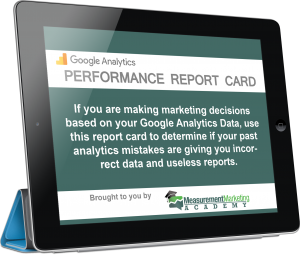 Download the Google Analytics Score Card here! Your website is the central hub of activity for your prospects and customers. And in any form of online marketing, there are 4 questions you need to be able to answer. The more thoroughly you’re able to answers these questions, the more powerful your marketing will be. What actions are my visitors taking? What are the results of my visitor’s actions? Q1: Who are my visitors? This is the single most important question any person can understand about their business. Your customers are the absolute core of everything you do each day, so it’s critical that you’re serving them according to what they actually need and respond to. To be able to do that, you need to have a very firm grasp on who your customers are. When you know who you’re talking to, you’re able to have a meaningful conversation with them on their terms, speaking their language, and addressing their needs. It’s very difficult to get someone to have any kind of action online if you don’t know their demographic, their interests, and their motivations. Why are they interested in you? When you are able to answer all these things in-depth, you’re able to tailor your language, copy, sales offers, and even your products so that you have the best chance of converting as many people as possible. 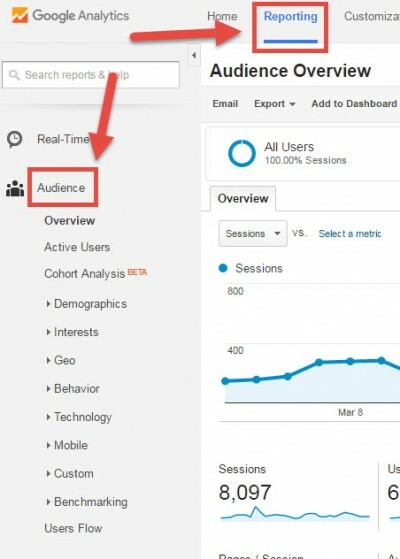 To find this information, you want to look at the Audience reports inside Google Analytics: Your Audience reports may very well show you valuable information you didn’t know about your customers, or that you had made an incorrect assumption about. Maybe it’s that the bulk of your customers are female, or that most of them live on the West Coast. Maybe it’s that they’re in an age demographic you haven’t been targeting, or that most of them are using smartphones instead of desktops. Whatever the reports yield, you’ll have hard data that allows you to create highly focused marketing and product decisions. Interests: ‘affinity’ interests let you reach people who are interested in things related to your products, while in-market interests let you reach people who might be close to buying in your market. Users Flow: A visual display of how users are behaving on your site. All of these reports give you real, actionable information on who your customers are… but Google doesn’t automatically switch them all on. If your reports were not running, it will take a day or two for the data to start aggregating, but then you’ll start collecting a clear picture of exactly who your customers are and how you can best connect with them. Q2: Where do my visitors come from? Once you’re clear about who your customers are, you need to understand how they’re getting to your site. Knowing this allows you to double down on the traffic sources that are working, and get rid of the ones that aren’t. You MUST be able to define the source (the branded platform, like Facebook) and the medium (the method, like PPC) that all your traffic is coming from, so that you can double down on what’s really working for you. 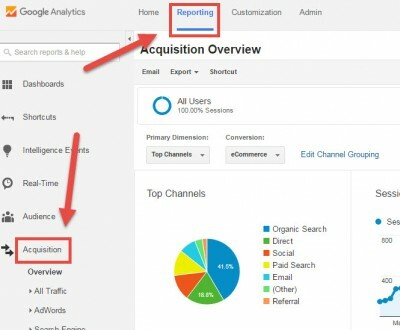 To do that, you use the Acquisition report in combination with source (or UTM) tags. So, by default, Google will show you a source referral. You can see that these visitors came from somewhere on Facebook for example… but without properly setting up UTM tags, you don’t know if it’s from your Fanpage, from an ad, or from a post on a timeline. Source tags, or UTM codes, are a short additional piece of text that you can attach to your URLs in order to tell Google Analytics additional information about inbound website traffic. It’s a simple way of keeping track of all the different marketing campaigns you’re creating. Tags give you insight into which ads are converting, and it gives you a way to correlate the data you are getting from the platforms you’re advertising on. For example, we recently had an issue on Facebook where a conversion pixel was not firing correctly. 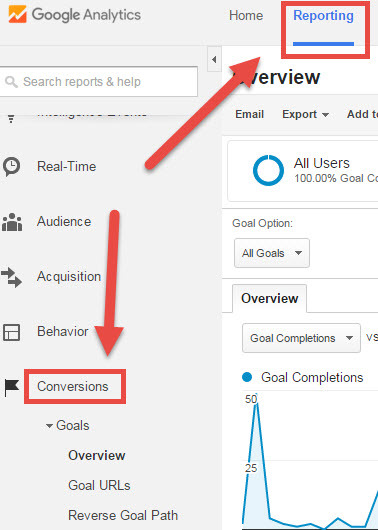 In Facebook’s reporting, there was only 1 tracked conversion, but when we checked that same campaign in Google Analytics, we saw over 40 conversions. If we hadn’t had UTM tags set up correctly, we would have looked at the data from Facebook and thought that campaign was bombing… when in fact, it was working great and there was a technical error with our Facebook pixel. Having two sources of data gave us the ability to dig deeper and find the real source of the problem. What’s the name of the whole campaign? And that’s it. Now, we will use that URL for our Facebook ad, instead of just the URL by itself. 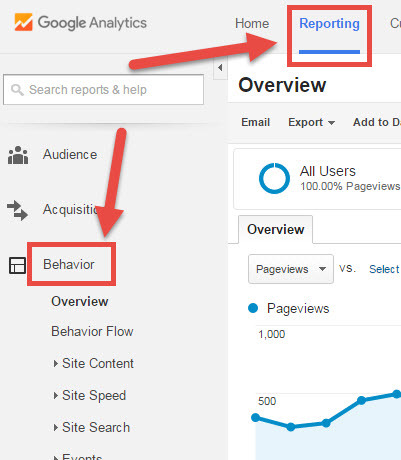 When someone clicks on the ad, it will tell Google Analytics exactly which ad they clicked on to come to the website. You now have a URL complete with a UTM tag to use for that campaign! Replicate this process for each ad, so you can instantly identify what’s sending traffic your way. You can do this with Facebook campaigns, guest posting, and link building efforts. You can even use UTMs to track offline efforts like public speaking and print ads. Now you have the data to optimize your campaigns and throw all your efforts behind sources and campaigns that really connect with your customers and generate ROI. Q3: What actions are my visitors taking? Once you know who they are and where they’re coming from, you need to know what customers are doing when they get to your site. Which posts are they reading? What links are they clicking? What are they entering into the search bar? Which pages can’t they load? Now, by default, Google will track the page views. Everything else has to be set up – setting up the event tracking, the link tracking, and so on. Event tracking is a simple enough concept: It’s the ability to track specific actions that users are taking on your site. Actions like clicking on a button, hitting the “share” button on a blog post, watching a video, or downloading a file. 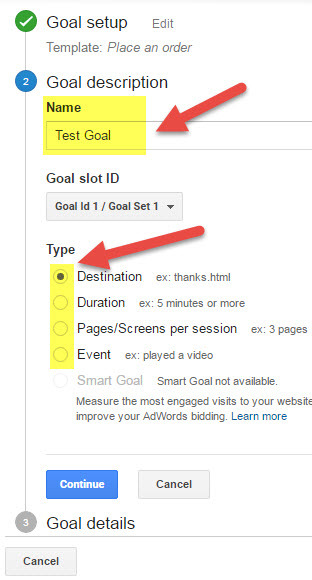 It’s the ability to track specific actions users take on your site. When you’re tracking all of these actions, you can start to build segments. Segments allow you to drill down and look at certain groups, or segments, of people based on very specific behaviors they take on your site, like visiting a certain page or clicking on a certain call to action. You can use segments to create relevant, timely offers to certain groups of people. For example, you might want to create a remarketing campaign to target people who saw the landing page and the cart, but they didn’t see the upsell page (which means they didn’t complete the purchase). Q4: What are the results of my visitors’ actions? The final question to answer is the most exciting one! It’s the end of the journey, the culmination of all your hard work: what did the customers actually do on the site? These reports also show you which traffic sources led to that purchase, opt-in, or other goal completion. You can set up sales funnel tracking, so that you can see exactly how many people are coming into a certain funnel, and what the drop-off and conversion rates are like so you can improve them over time with testing. 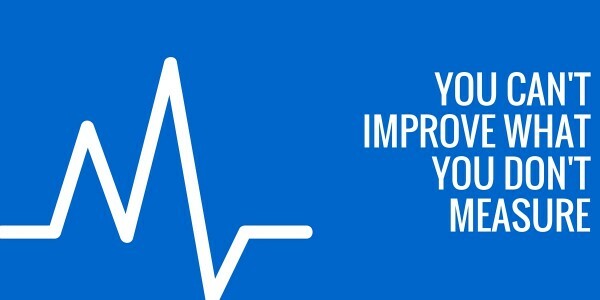 This set of reports really helps you to see where your energy needs to be going. Your traffic might be solid, but if your sales funnel is letting you down, you’re missing out on a lot of business and revenue. Click the red +New Goal button. Create your goal with the wizard options. To begin with, you might choose a Destination goal – for example, the thank-you page that someone sees after they make a purchase. When you get a report of this goal being completed, you will know you’ve made a sale. Finish filling out the details in the wizard, including the URL, and you can choose to include value of the purchase or conversion if you prefer. Once it’s saved, Analytics will start tracking the performance of each goal. You’ll be able to see the source of each conversion is, and what the total conversion rate is across all your traffic. Spend some time digging into the answers to each of the questions, and mapping out what you need to set up to keep close tabs on how your business is performing. Make sure your team has all the information too, as it will inform every decision you make going forward. Over time, you’ll be able to use these reports to hone every part of your customer acquisition process. You’ll be able to make more offers to the right people, at the right time. 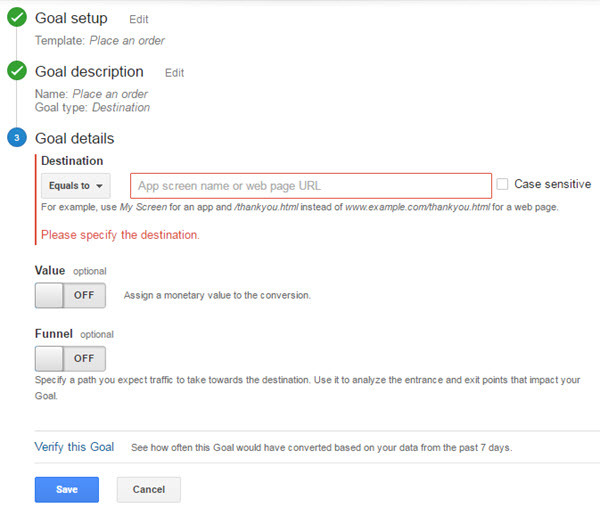 This is a powerful, consistent way to grow your business, and Google Analytics will help you do it. 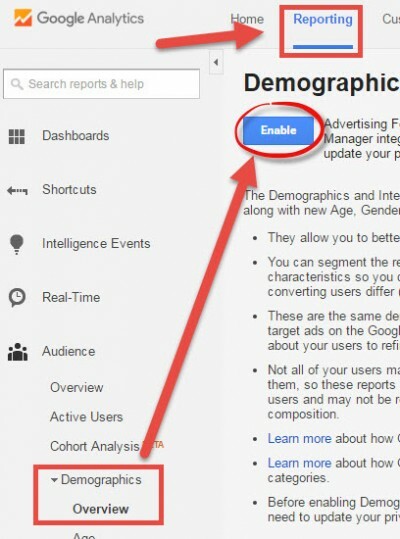 Download the Google Analytics Score Card and quickly know what dritical data you may be missing.